Our Marin Fairfax hire bikeshave 27 gears and speedy tyres for faster riding, they are a good alternative to a road bike. Our New Raleigh Strada 4 bicycles have hydraulic brakes and fatter tyres for comfort. 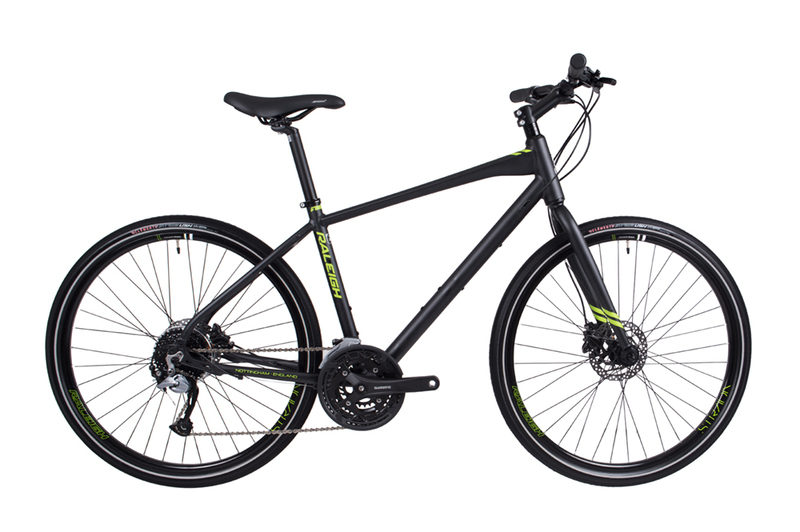 Our New Raleigh Pioneer Step Through frame bikes come with 24 gears and are great for riding around the city and the Peak District alike. We have a fleet of Marin Fairfax, Raleigh Strada and Raleigh Pioneer bicycles available to hire from only £8 per day. Note these are 'proper bikes' as one of our recent customers happily described them. Travelling by train and need a bicycle at the end of your jorney? Why not take advantage of of Brompton Bike hire, for the same price as our Marin Bikes you can take a bike much further. All our Brompton Hire Bikes are 6 speed so easy to ride even around Sheffield. Contact us to book your bike hire. Out-of-hours returns can be accommodated. We try to operate a 'pop-in bike hire service', but we can't guarantee availability. it's best to contact us in advance and make an actual 'booking'. To hire one of our bicycles, all you need is a photo ID and a credit or debit card. We conform to the CTC Guidence for Cycle Hire. All bicycles come with mudguards, rack, reflectors, bell, lights and lock. All bicycles are safety checked before being hired out. Helmets are available with all bicycles (free of charge). Service Customers: whilst your bike is being repaired or serviced by us, you can hire a bike for a maximum fee of £15 (no matter how many days your own bike is off the road). We have a number of accessories available for hire with our bicycles such as a trekking pack which includes a handlebar bag with map wallet, saddle bag with puncture repair kit and a pump. If you want to take our bicycles on your car we also have a Saris bike carrier for hire which can hold upto 3 bikes, talk to one of our staff when you hire the bike if you need anything else.